Very light wear, inside pages are clean. Has been used very little. One page has a stray ink mark. Ten pages have yellow highlighting. 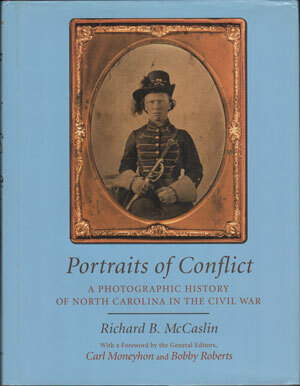 An excellent photographic record and history of the men of North Carolina who served during the Civil War. Hard cover, 403 pages with detailed index, large, oversize, heavy book. Out of print and very hard to find.